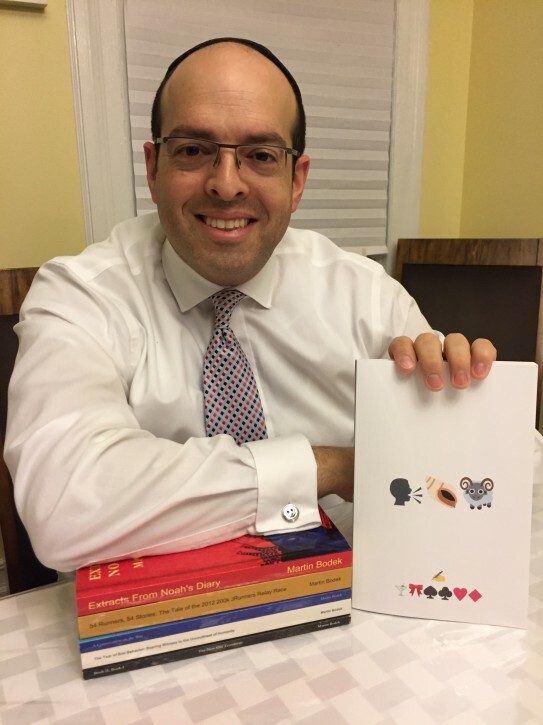 Passaic, NJ - In an age where emojis have become a shorthand to express feelings, concepts and objects, a newly published hagada is making use of the pictorial character set, with the entire text written not in words, but emojis. 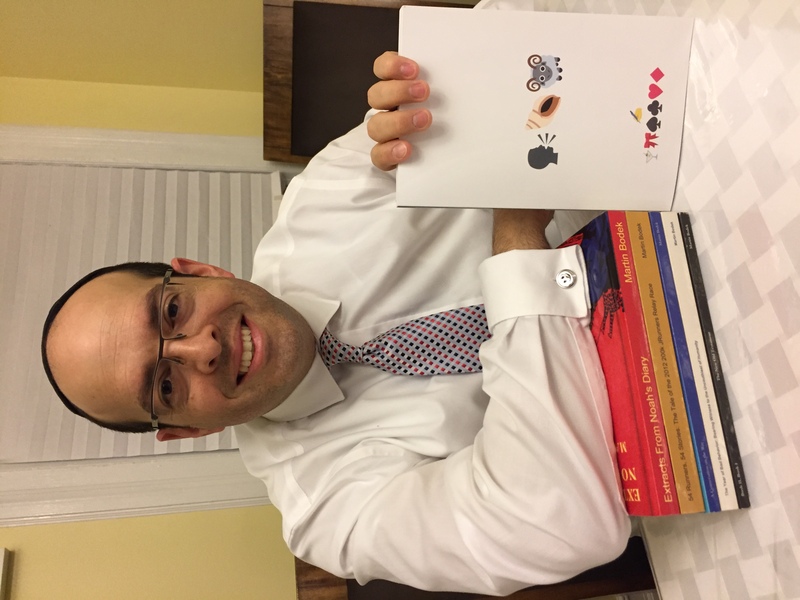 The Emoji Haggadah is the brainchild of Martin Bodek, conceived in 2017 when the Passaic resident and his family dressed in emoji costumes for Purim and gave out a similarly themed mishloach manos. 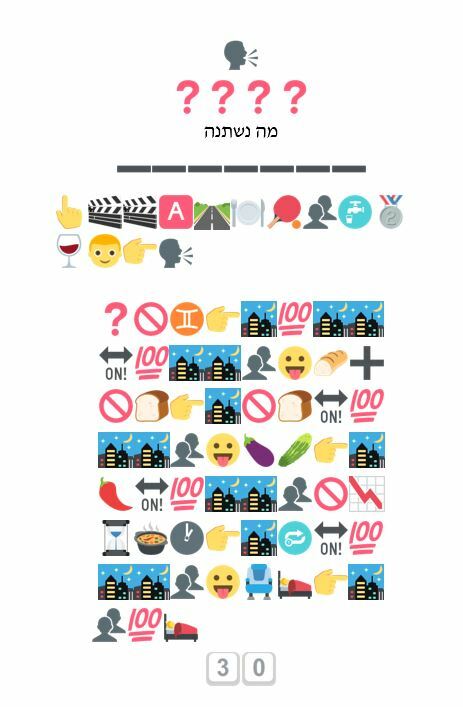 A trivia buff who loves wordplay and puzzles, Bodek wrote up an abridged version of the Purim story in emoji which was included in the family mishloach manos. Writing a book entirely in emoji may be a novel concept, but using pictures to represent words harkens back to ancient times when concepts were written out in hieroglyphics, noted Bodek. And with the Pesach seder’s focus on getting children to ask questions, it seemed perfectly natural to the father of three to turn the entire hagada into a giant kid-friendly puzzle. 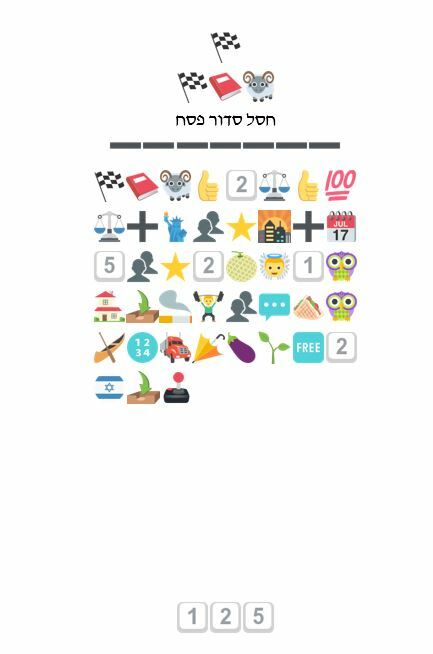 While this may be the first all-emoji hagada, other non-traditional versions have already been published including the Harry Potter-themed The (unofficial) Hogwarts Haggadah and The Trump Passover Haggadah. The front cover of the hagada gives readers a taste of what lies within. The phrase “hagada shel Pesach” is represented by a man speaking, a sea shell and a lamb. The words “written by” appear as a hand holding a pen and “Martin Bodek” as a martini, a bow and, hinting at the word “deck,” the four suits that appear in a standard deck of playing cards. Certain words were easily represented in emoji, with the Kadesh portion of the seder announced by a goblet of wine and the phrase “echad mi yodea” – who knows one - appearing as a hooting owl, a nose and the symbol for the number one. Others required more creativity, with an elderly woman alluding to the concept of kindness and the number four and an evergreen standing in for the word “forever” which didn’t appear in the Unicode Standard emoji set when Bodek began his project. The emoji set was updated twice as Bodek wrote his hagada, and each time, he went back through his work to incorporate the new symbols. 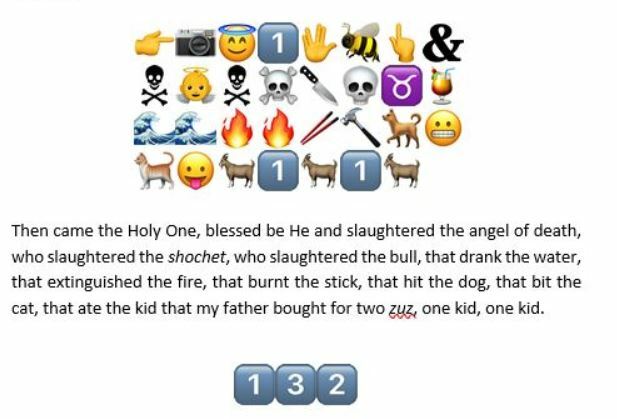 He self-published the original Emoji Haggadah in December, with not a single conventional letter or word appearing anywhere in the 128 page long volume. After several news articles appeared crediting Bodek with writing what was likely the world’s first emoji hagada, it wasn’t long before KTAV Publishing House reached out to discuss publication opportunities. Having already gotten feedback from friends, Bodek realized that he needed to make the hagada more user friendly by adding a glossary and instructions for deciphering the emojis. Other changes included Hebrew titles for each part of the seder and a full Hebrew-English hagada at the end of the book. As the hagada went to print, KTAV found that the Unicode Standard emoji set of 2,823 characters that Bodek had used wasn’t printing clearly, forcing a switch to Microsoft Word’s standard emoji plug-in. That change left Bodek with an emoji set that was half the size of the one he had previously used, and less than a week to rewrite the entire hagada. An accomplished runner who has completed 35 marathons, Bodek hopes that the mental exercises in The Emoji Haggadah will get children of all ages excited about the seder. The book is available on Amazon and in 15 North American bookstores and its second printing of 2,000 copies has nearly sold out. Bodek admits that his focus changed multiple times as the project evolved.